If you’ve seen police officers in Hollywood movies pulling out something that looked like a spray paint canister, then you’re already familiar with pepper spray. Well, the canisters aren’t actually spray paint, instead they contain the most non-lethal life-saving piece of equipment you can find. In this post, we’ll be talking a bit about what makes pepper spray so effective, why you should carry one and in the end, we’ll talk about five of the finest pepper sprays in the market right now. 1 What is Pepper Spray? 1.4 Why Should You Prefer a Pepper Spray Instead of a Knife or a Gun? So, basically, the ingredient that makes pepper spray what it is would be the oleoresin capsicum. That’s the major component, the other minor pepper spray ingredients are just oil and water as base. The main ingredient is made from hot cayenne peppers. And, to be honest, it would be an understatement to say that these peppers are hot. Even being close to them, you can feel the effects of the spray. Pepper spray is usually sprayed into the eyes because it can cause temporary blindness, but it’s not just effective on your eyes. If it touches your skin, it can cause burning and severe itching. If you can understand that, just think about how much damage it can do to your eyes. Even after eating some spicy Mexican pizza people wash their hands thoroughly because if you touch your eyes, they’d burn. But, what you don’t know is the jalapeños used in pizzas are actually less than a 1000 on the pepper heat scale. While Cayenne Peppers are at a solid 30,000. Yeah, now you’re understanding how powerful these bad boys are. It generally varies but should last for several minutes which gives you ample time to escape or call for help. Why Should You Prefer a Pepper Spray Instead of a Knife or a Gun? The answer is pretty obvious, but we’ll list it out for formality. 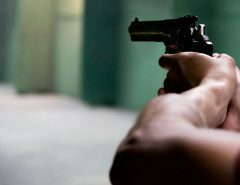 It is because it is one of the best non-lethal self defense weapons. You can shoot or stab that creep that tries to touch you in the wrong places, but you could spray them with these hot peppers and immobilize them for several minutes and there’d be no jury that would convict you. As we said at the start, even cops are using pepper sprays because they’re much less lethal and more effective at bringing down someone as compared to tasers or guns. There’s literally nothing else like it in the world, and that’s why we think it should be in the purse of every woman reading this. 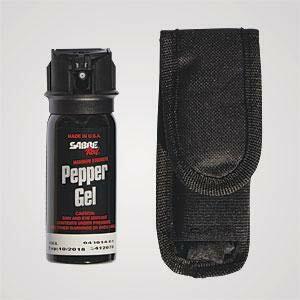 Another option you may be interested in is bear spray or mace and you should look into bear spray vs pepper spray and mace vs pepper spray. 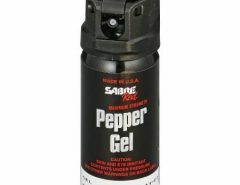 Now that you know why you should purchase pepper sprays, we should discuss which ones you should buy. We’ll list five of the most-liked sprays and list out their pros and cons. You’re welcome to pick one that you like, but we can guarantee these will be worth your money. There are just a ton of benefits of this spray. It’s really small and easy to conceal, the price tag is low, it has a higher number of shots and the formula used in making it is just really overpowered. This spray is optimal for folks that aren’t always carrying bags or stuff since it can be strapped to your arm. There’s also a 10-foot range on the spray so you don’t have to be in arms length to spray them. There’s also a safety system like on guns to prevent accidental spraying. Seriously, what more could you possibly ask for? Some people have complained that the safety gets stuck sometimes. But, you have to practice a bit if you want to twist the safety without problems. 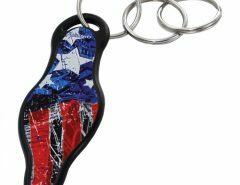 Even though this option is small, if you want something even smaller check out a pepper spray keychain option. 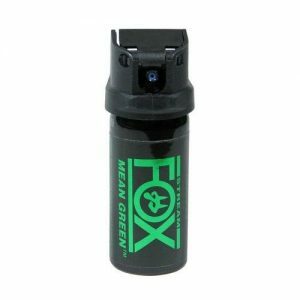 The Fox Labs Mean Green Spray was pretty close to snagging the top spot on our list. The spray is just really unique. It’s the strongest pepper spray and even stronger than the number one spray and the best part is that the spray isn’t red or anything, it’s green dyed. The dye can be identified for a long time. There are two sized canisters of Mean Green available. Other than that, Fox Labs upgraded their nozzles to make them spray out a lot of pepper at once. The one problem would be the shelf life. The actual life of the spray is said to be 3 years but Fox Labs recommends changing it after just 2 years. There’s not an obvious chance that you’ll get attacked in two years, so you might waste a few canisters till you actually need to spray someone. Dye is sort of semi-permanent. 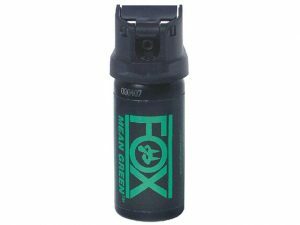 Overall, Fox Labs is one of the best creators of pepper sprays in the entire world. That is why they’re being mentioned twice in succession. This pepper spray is everything that the Mean Green isn’t. It has more range (20 feet), same number of shots and the dye is visible below a UV light. The formula isn’t as strong, but it’s strong enough to do its job pretty well. Once again, the shelf life is pretty short, but apparently there’s nothing Fox Labs can currently do to rectify that. The SABRE Red Gel is the only one to make our list because gels aren’t really something we’d recommend. But, this gel spray is definitely worth a consideration. It is the hottest of SABRE’s collection and it has the longest range as well. There’s no chance of a blowback because it’s just gel. There’s a flip top safety and a four year long shelf life. SABRE Red Gel also has UV dye. Gel Spray is a bit concentrated than other sprays and requires higher precision to be effective. 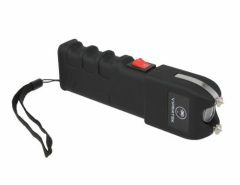 Defense Technology is a great brand that has hundreds of valid options when it comes to self-protection and defense and their pepper sprays are some of the best you could buy. 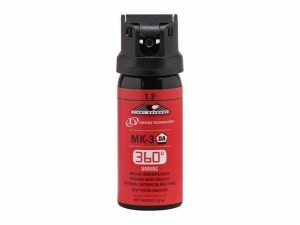 It has the goodies; strength, size, multiple shots and the best part, you can spray in a 360 degree radius around the canister. 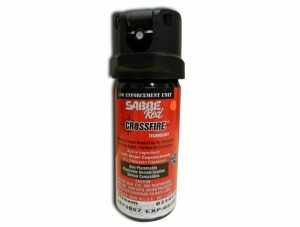 Most pepper sprays will require you to reposition yourself before spraying, but this spray just lets you fire no matter how you are positioned. Though, the bad part is that this feature requires some practice to perfect. Amazon sells a training canister silimar to the 360 MK-3 that might give some time to practice. 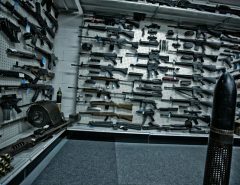 This is a taller and harder to conceal container, but not everything can be top notch, can it? At the end, we’d like to say that pepper sprays are worth your cash. These are just five of the thousands available on Amazon and Ebay but we don’t say that you should just buy these. If you don’t think they’re good enough, feel free to do some research and find a product that suits your needs. We thought about a product overall, but if you have some specific needs, then you’re welcome to buy one that suits you. But, remember this, there might be a time where a pepper spray is the only thing between life and death.